thuban receives €0.82 per week from 2 patrons. I try to simplify the use of free (as in freedom) softwares with which I learned a lot. I share these programs, discoveries or documentation on my site. I wrote a book to successfully host its server with OpenBSD. It is also available online. 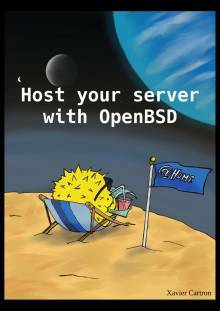 I created the French-language portal around OpenBSD called Obsd4 *. It allows to exchange around this system, to ask for help, to stay informed and to gather knowledge and tricks in a wiki. A CHATONS offering a messaging service (among others). HandyMenu and tkmenu, fast menus used originally in the distribution HandyLinux but also now in DFLinux and Primtux. Isotop, a pre-configured OpenBSD image for easy learning. Dontpanic and torstream are two programs for watching movies in streaming. They are downloaded via torrent. One is a tool that can be installed on a server to propose a portal accessible to the public, the other offers the same but command line. Noizy is a tool in PHP that allows to stream an RSS feed to various social networks automatically. Vilain is a python tool that mimics the fail2ban functionality for a server running OpenBSD: it monitors possible attacks on a server and blacklists the IP of the attackers. Swx is a static site generator. Potograph is a program to make a photo studio (especially useful for weddings or big parties). I propose various tools based on the Tk graphical library, fast, light and requiring few dependencies. I made sheets gathering all the small commands useful in LaTeX. It is available here. I gather documentation and other small tools on my site. I am also on github or framagit where I fork and offers improvements according to my time and abilities (translations, issues , Bug fixes). thuban joined 3 years ago.